Adkins, W.E. 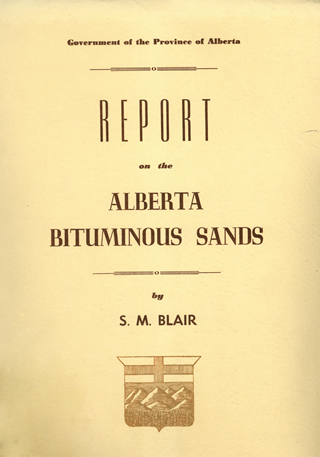 Report to the Board of Trustees on the Oil Sands Project: from Inception to December 31, 1948. 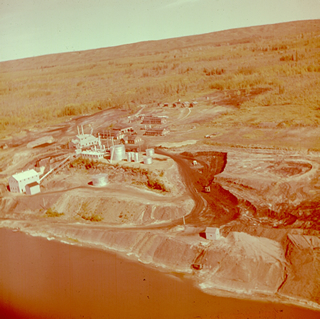 Edmonton: Oil Sands Project, 1948. AOSTRA: A 15 year portfolio of achievement. 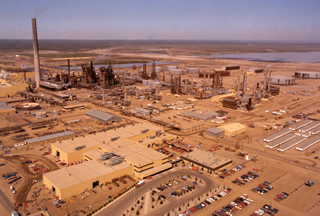 Edmonton: Alberta Oil Sands Technology and Research Authority 1990. Ball, Max W. “Brief History of the Enterprise.” October 11, 1933. PR1968.0015. Ball, Max. This Fascinating Oil Business. Indianapolis: The Bobbs-Merrill Company, 1940. Bilkadi, Zayn. 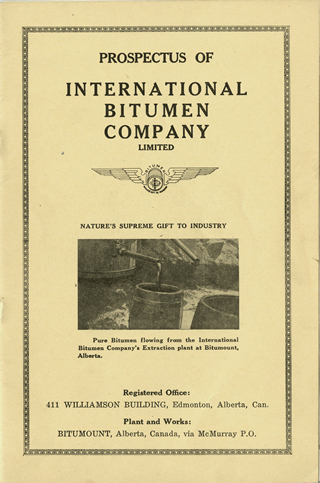 “Bitumen – A History.” Saudi Aramco World 35, no. 6 (Nov./Dec. 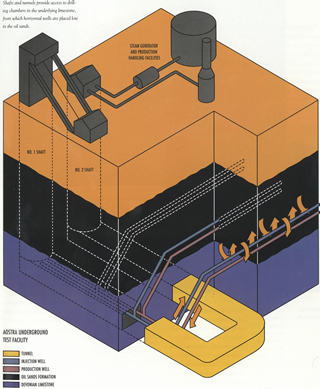 1984): 2-9. http://www.saudiaramcoworld.com/issue/198406/bitumen.-.a.history.htm. Bott, Robert. Canada’s Oil Sands and Heavy Oil: Developing the World’s Largest Petroleum Resource. Calgary: Petroleum Communication Foundation, 2000. 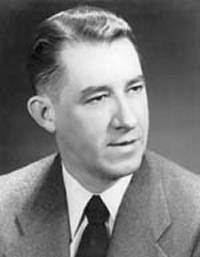 Bowman, C.W. “The Athabasca Oil Sands Development—50 Years in Preparation” in Origin and Refining of Petroleum, Advances in Chemistry Series 103. Washington, D.C.: American Chemical Society, 1971. pp. 81-93. Boychuk, Rick. River of Grit: Six Months on the Line at Suncor. Edmonton: Duval House Publishing, 1996. Breen, David H. Alberta’s Petroleum Industry and the Conservation Board. Edmonton: The University of Alberta Press, 1993. Byfield, Ted, ed. Brownlee and the Triumph of Populism Vol 5 of Alberta in the 20th Century. Edmonton: United Western Communications Ltd., 1996. ——— ed. Lougheed and the War with Ottawa. Vol 7 of Alberta in the 20th Century. Edmonton: United Western Communications Ltd., 2002. 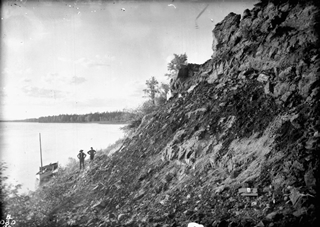 Camp, Frederick W. The Tar Sands of Alberta, Canada. Denver, CO: Cameron Engineers, 1976. 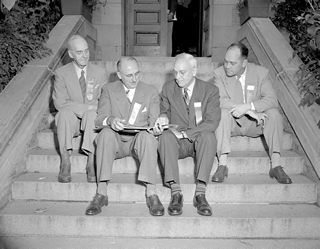 Clark, Karl Adolf and Sidney Martin Blair. Bituminous Sands of Alberta. Scientific and Industrial Research Council of Alberta Report no. 18, 3 vols. Edmonton: W.D. McLean, acting king’s printer, 1927. Comfort, Darlene J. 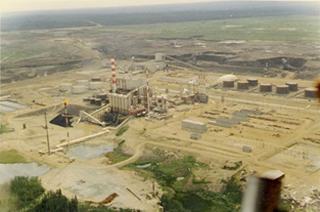 The Abasand Fiasco: The Rise and Fall of a Brave Pioneer Oil Sands Extraction Plant. Edmonton: Friesen, 1980. ———. “Tom Draper, Oil Sands Pioneer.” Alberta History 25, no.1 (Winter 1977): 25-29. 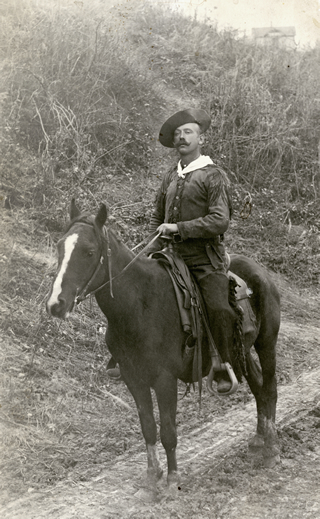 “Count Alfred von Hammerstein (1870–1941).” Honoured CPHFS Members. Canadian Petroleum Hall of Fame. 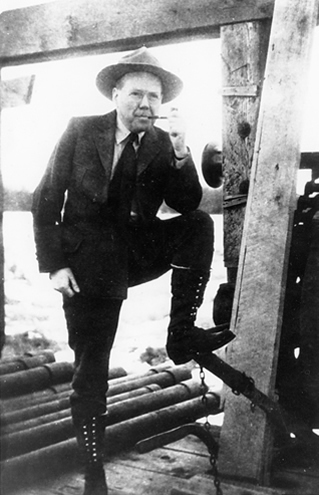 http://www.canadianpetroleumhalloffame.ca/franklin-spragins.html (accessed September 27, 2013). De Mille, George. 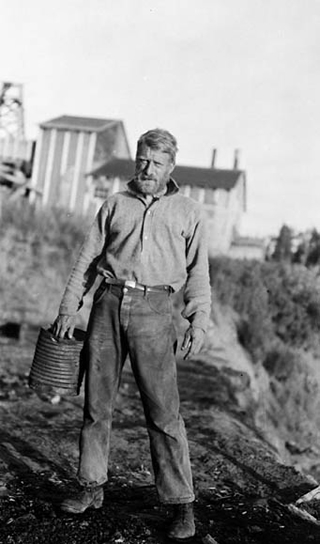 Oil in Canada West: The Early Years. Calgary: Northwest Printing and Lithographing, 1970. “Dr. Roger M. Butler.” Honoured CPHFS Members. Canadian Petroleum Hall of Fame. 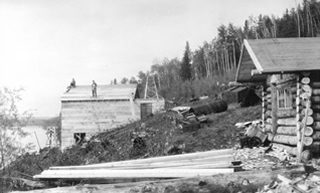 http://www.canadianpetroleumhalloffame.ca/franklin-spragins.html (accessed September 27, 2013). Facts About Alberta’s Oil Sands and its Industry. Oil Sands Discovery Centre. Edmonton: Government of Alberta, 2008. Ferguson, Barry Glen. 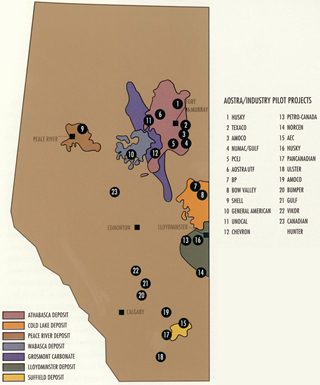 Athabasca Oil Sands: Northern Resource Exploration 1875-1951. Regina, SK: Canadian Plains Research Centre, 1985. ———. “The Athabasca Oil Sands: A History of the Era of Investigation, 1875 to 1951.” Unpublished manuscript for Historic Sites Service, Alberta Culture, Edmonton, AB, March 1983. Fitzgerald, J. Joseph. Black Gold with Grit. Sidney, BC: Gray’s Publishing Ltd., 1978. “Franklin K. Spragins.” Honoured CPHFS Members. Canadian Petroleum Hall of Fame. 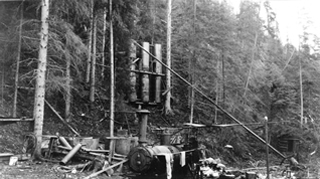 http://www.canadianpetroleumhalloffame.ca/franklin-spragins.html (accessed September 27, 2013). Freeman, James Morton. Biggest Sellout in History! Foreign Ownership of Alberta’s Oil and Gas Industry and the Oil Sands. Edmonton: New Democratic Party, 1966. Gould, Ed. 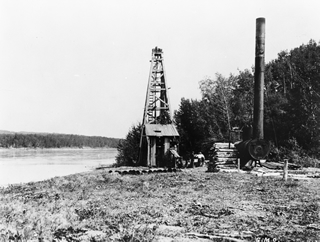 Oil: The History of Canada’s Oil & Gas Industry. Saanichton, BC: Hancock House Publishing, 1976. Government of Alberta. Proceedings: Athabasca Oil Sands Conference. Edmonton: A. Shnitka, King’s Printer, 1951. Great Plains Research Consultants. “The Athabasca Oil Sands, 1951-1983.” Unpublished manuscript for Historic Sites Service, Alberta Culture, Edmonton, AB, March 1984. Hatter, David. “Alberta’s tar sands in the energy perspective.” Canadian Geographic, (April/May 2001). Hein, Frances J. 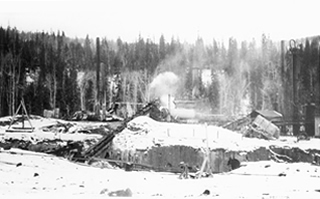 Historical Overview of the Fort McMurray Area and Oil Sands Industry in Northeast Alberta. Edmonton: Alberta Energy and Utilities Board/Alberta Geological Survey, 2000. Huberman, Irwin. The Place We Call Home: A History of Fort McMurray as Its People Remember. Fort McMurray: Historical Book Society of Fort McMurray, 2001. Hunt, Joyce E. Local Push – Global Pull: the Untold History of the Athabaska Oil Sands, 1900-1930. Calgary: PushPull, Ltd., 2011. Hustak, Allan. 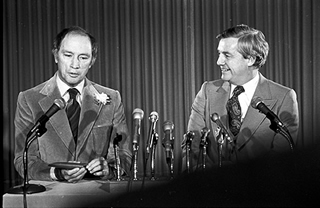 Peter Lougheed: A Biography. Toronto: McClelland and Stewart, 1979. James, William. “Great men and their environment,” in The Will to Believe and Other Essays in Popular Philosophy (1897); reprinted by BiblioLife, 2010. Jaremko, Gordon. “Environmental Safeguards Are as Old as the Oilsands Sector Itself.” Oilsands Review (March 2012): http://www.oilsandsreview.com/issue.asp?id=1879. Johnson, Gerald W. “Nuclear Explosions in Science and Technology.” Bulletin of the Atomic Scientists 16, no. 5 (May 1960): 155. Laux, Jeanne Kirk and Maureen Appel Molot. State Capitalism: Public Enterprise in Canada. Ithaca, NY: Cornell University Press, 1988. Lowey, Mark. 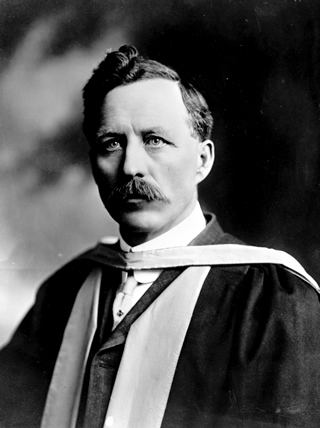 “Father of Invention.” http://www.ucalgary.ca/EN/News/2004/Butler -iseee.pdf. Martin, Don. “Black Gold.” 100 Days That Changed Canada. Edited by Mark Collin Reid. Toronto: HarperCollins Publishers, 2011. Matar, Sami. Synfuels: Hydrocarbons of the Future. Tulsa: PennWell Publishing Company, 1982. McCullum, Hugh. Fuelling Fortress America: A Report on the Athabasca Tar Sands and U. S. demands for Canada’s Energy. Ottawa: Canadian Centre for Policy Alternatives, 2006. McKenzie-Brown, Peter. “The Captain Takes a Bow.” Oilsands Review. February 2012. ———. 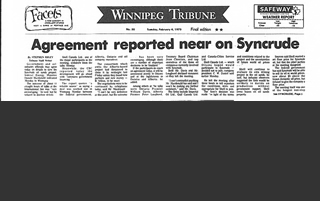 “Centre of a Storm: The Canadian Petroleum Association during the Energy Wars.” Oilweek. November 2008. ———. “In-situ step-change.” Oilsands Review. December, 2011. McKenzie-Brown, Peter, Gordon Jaremko, and David Finch. The Great Oil Age. Calgary: Detselig Enterprises, 1993. McRory, Robert E. Energy Heritage: Oil Sands and Heavy Oils of Alberta. Edmonton: Alberta Energy and Natural Resources, 1982. 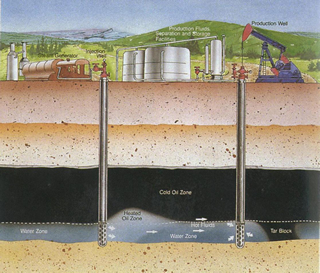 “Oilfield Glossary.” Schlumberger http://www.glossary.oilfield.slb.com/ (accessed March 10, 2012). “Oilsands Glossary.” Oilsands Review. JuneWarren-Nickle’s Energy Group http://www.oilsandsreview.com/page.asp?id=glossary (accessed March 10, 2012). Patel, Sanjay. The Future of Oil: A Straight Story of the Canadian Oil Sands. India: CreatiVentures Publishing, 2012. Riddell, Kathy Maureen. The Origins and Evolution of the Scientific and Industrial Research Council of Alberta, 1919-1930. Honours Thesis for History 501, Edmonton: University of Alberta, 1977. Robinson, J.M.A. and Jessup, J.M. The Alsands Project. Calgary: Canadian Major Projects Association, 1988. Sheppard, Mary Clark, ed. Athabasca Oil Sands: From Laboratory to Production; The Letters of Karl A. Clark, 1950-66. Sherwood Park, AB: Geoscience Publishing, 2005. ———. Oil Sands Scientist: The Letters of Karl A. Clark 1920-1949; with an Introduction by Mary Clark Sheppard. Edmonton: University of Alberta Press, 1989. Smith, A.J. and J.M. 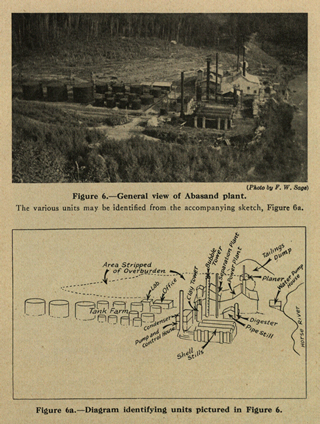 McClave, “The Commercial Utilization of the Oil Sands in Northern Alberta.” Presented at the 18th Annual Western Meeting of the Canadian Institute of Mining and Metalurgy, Edmonton, AB, October 1, 1936, (UAA Box #1, Series/File List 7-1-4-4). Sweeney, Alastair. Black Bonanza: Canada’s Oil Sands and the Race to Secure North America’s Energy Future. Mississauga, ON: John Wiley and Sons Canada, 2010. Sun Oil Company. 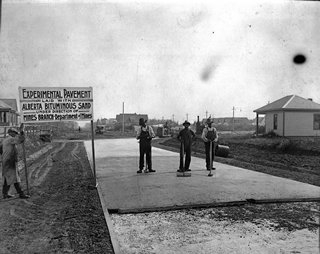 Centennial Celebration: The Story of Sun Company. Pennsylvania: Sun Oil Company, 1986. Teller, Edward. “We’re Going to Work Miracles.” Popular Mechanics 113, no. 3 (March 1960): 97-101. Yergin, Daniel. The Quest: Energy, Security and the Remaking of the Modern World. New York: Penguin Press, 2011. Wood, David. The Lougheed Legacy. Toronto: Key Porter Books, 1985. Wylie, William N.T. “The History of the Petroleum Industry in Alberta.” Unpublished manuscript for Historic Sites and Monuments Board of Canada, Gatineau, QC, July 1990.